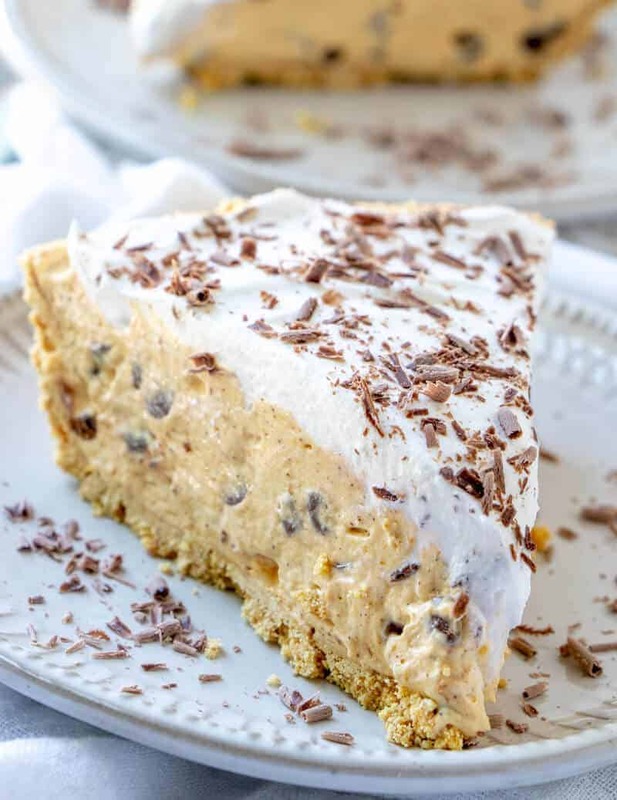 No bake, creamy and irresistible this Chocolate Chip Pumpkin Pudding Pie is a twist on your classic pumpkin pie that is absolutely to die for! So we love pumpkin around these here parts, but I’ve never been a fan of pumpkin pie itself. I know it’s weird, but it is what it is…. 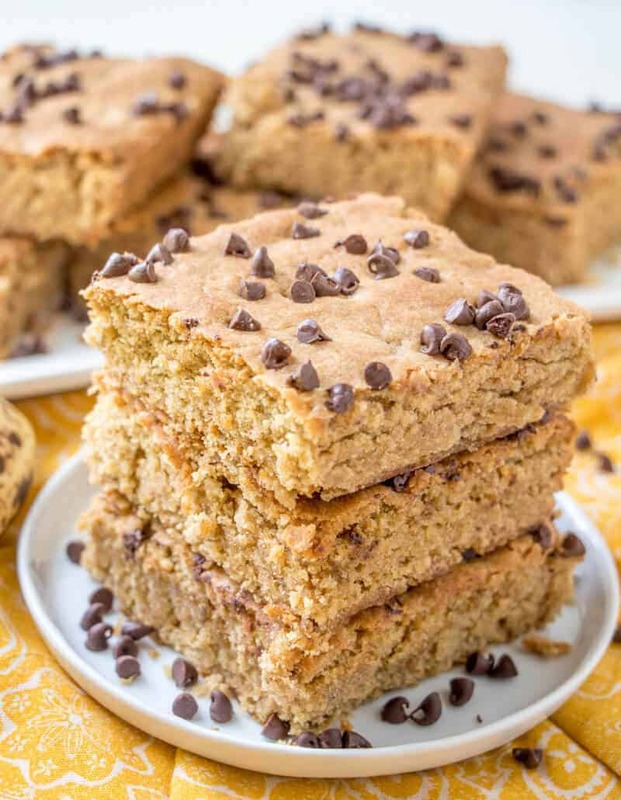 Peanut butter and banana go hand in hand with these easy and flavorful Peanut Butter Banana Bars! Quick, kid-friendly and addicting. Who doesn’t love a good old-fashioned bar recipe? I know that if I had choice I would devour bars all day long. I love that they are handheld, no fork required and just a simple dessert that travels well…. You’ll fall head over heals for my Chewy Chocolate Chip Cookies that have a secret ingredient baked right in! Once you try them you’ll never want to go back to any other recipe! 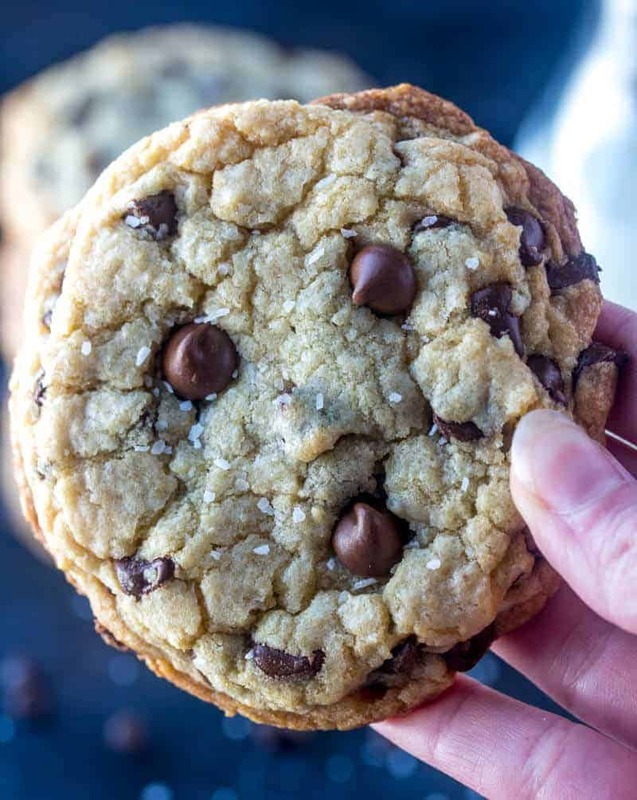 Do you agree that chocolate chip cookies are a staple in pretty much everyones house? I used to hate cookies, like if I had any other choice cookies would be the last one! My mom loved to make crispy cookies and I think that was more or less what made me hate them…. Want the perfect morning treat? 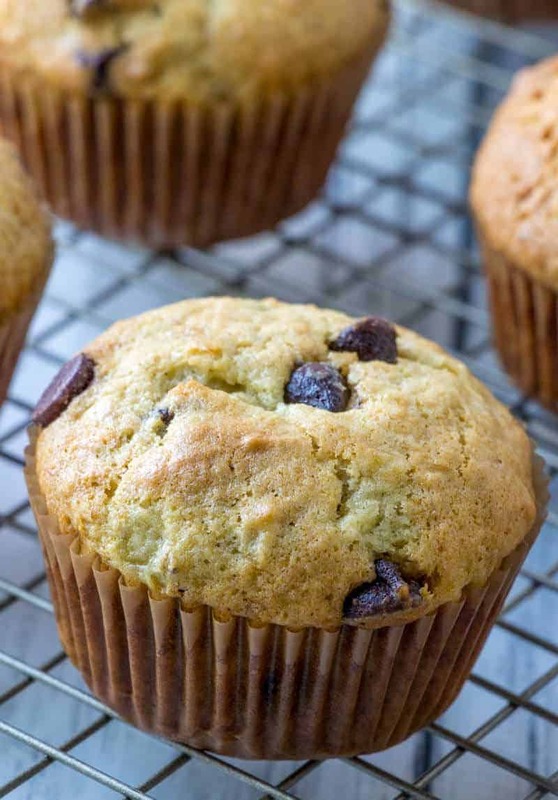 These Banana Chocolate Chip Muffins are quick, easy, full of flavor and the whole family will go wild for this amazing breakfast recipe. Muffins are one of those recipes that are always a good go-to breakfast treat. They feed a crowd, come in a variety of flavor options and pretty much everyone loves them. You don’t often come across someone who doesn’t like one muffin recipe or another…. 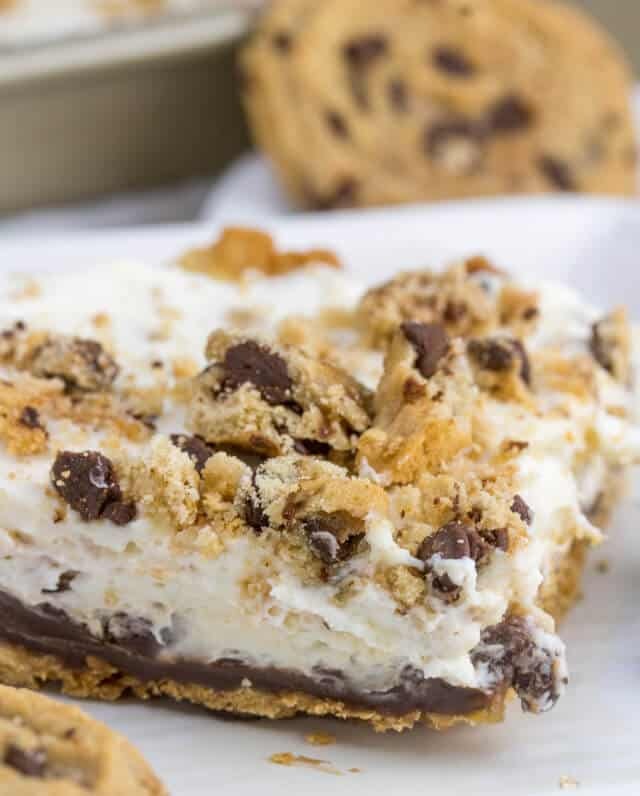 Light, fluffy and delicious this Chocolate Chip Cookie Slab Pie will never have you wanting lie another way! 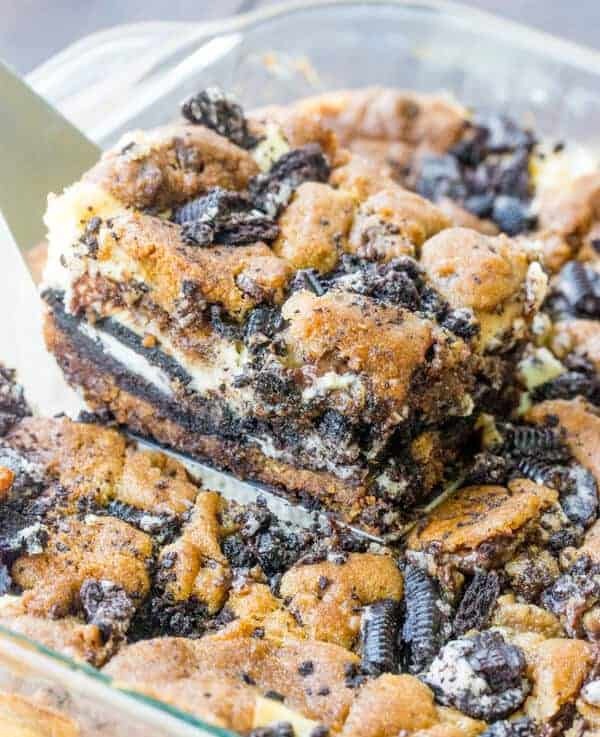 Three different desserts all in one, these Oreo Chocolate Chip Cheesecake Bars are a seriously addicting and almost sinful treat. You guys, I did it again. So my Peanut Butter Cup Cheesecake Bars were such a hit (about 2.1 million views on the video on Facebook) that I couldn’t help myself and had to make another variation of the beloved treat…. 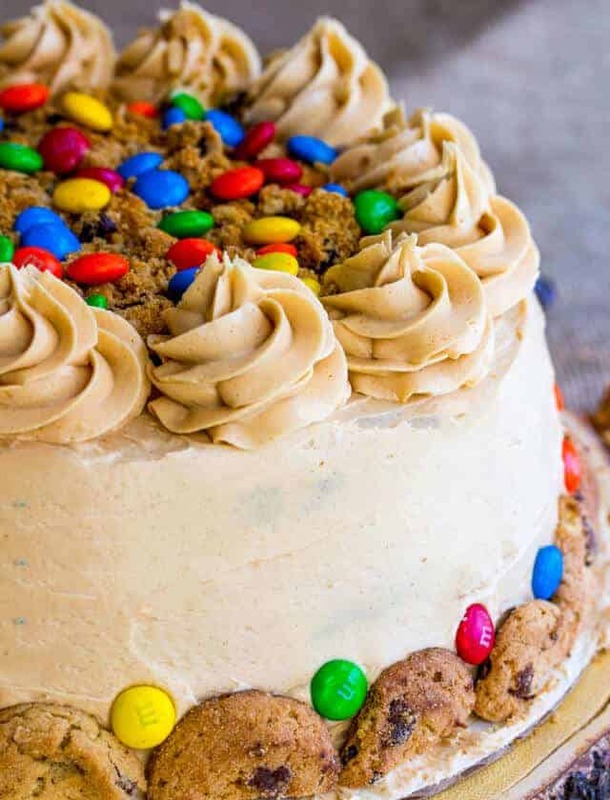 One of the most loved cookies gets a face lift with this moist and delicious Monster Cookie Cake. A fun delicious spin on a classic treat! So I did it again. I made a cake, shocking right? Yeah that’s what I thought too. But that’s just what I do, cake is always on the brain in this house, its kinda just in my nature. I love cake,and if I could have it for every single meal I absolutely would…. 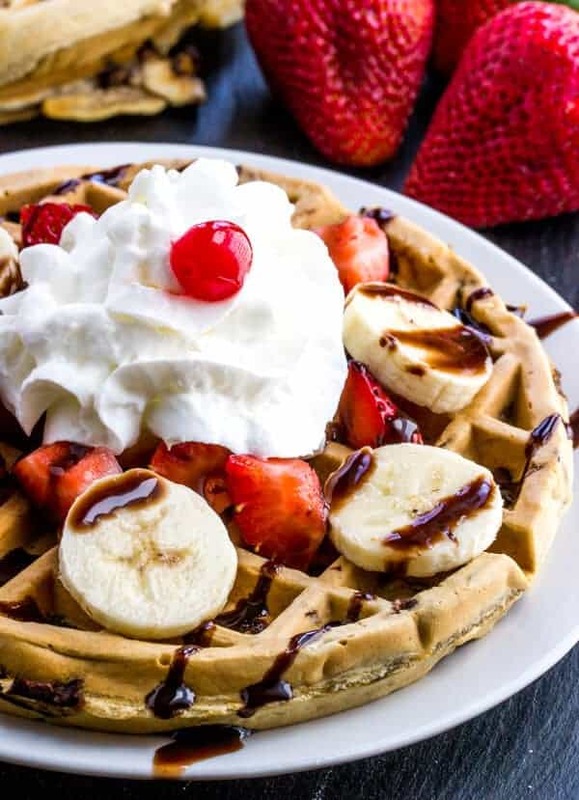 Fluffy and delicious these Banana Split Waffles are a fun breakfast for adults and kids alike! Top with amazing toppings for an easy morning treat! Who can resist the salted caramel? 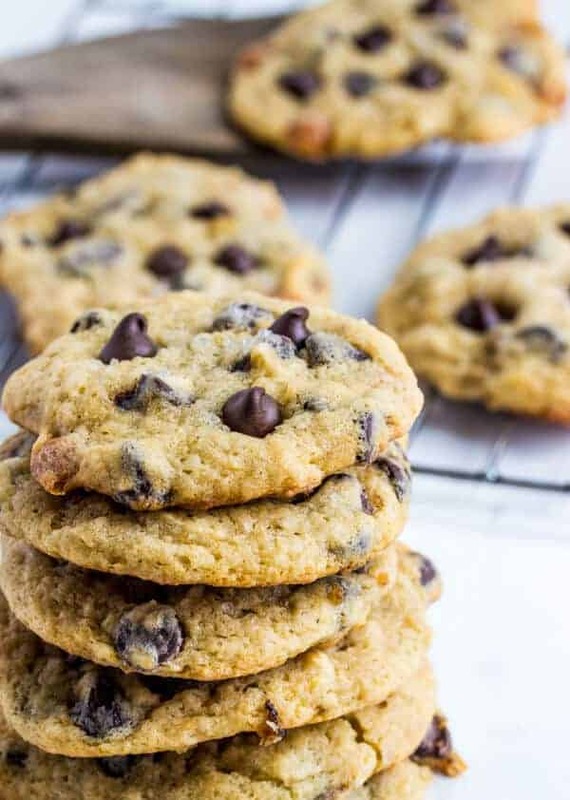 Throw in a little banana a chocolate while you’re at it and you have yourself these irresistible Salted Caramel Banana Chocolate Chip Cookies. So Spring Break starts today for my kids. I still have today and all next week off from my daycare kids as well…. 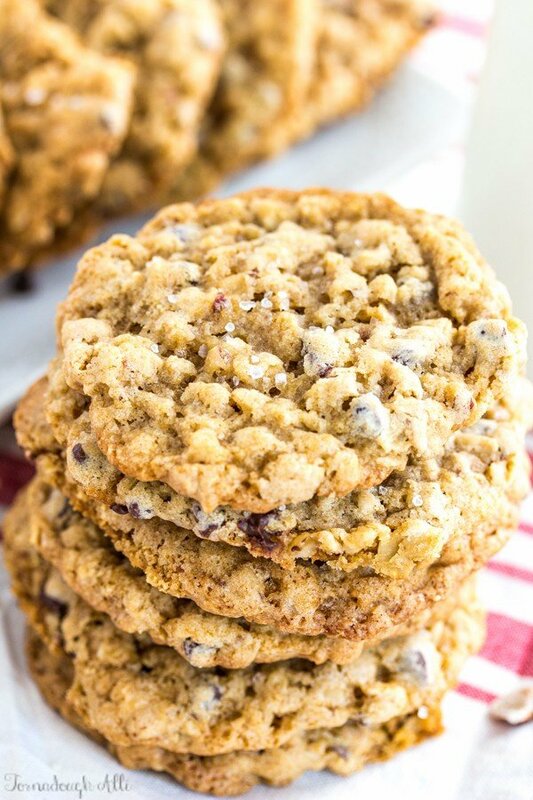 Soft and tasty Sea Salt Hazelnut Chocolate Chip Oatmeal Cookies are a delicious twist on a classic that blends a little salty and sweet!